is easy and hassle free. Profitable fundraising enables stronger programs for your school or organization. Raising funds for your school or organization is easy and hassle free. 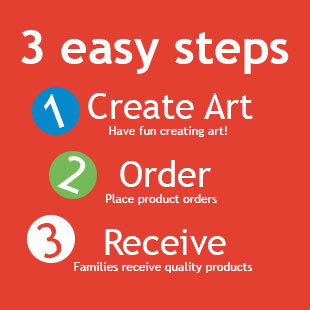 How do our art fundraising programs work? How much work is involved for you? What are the art specifications? 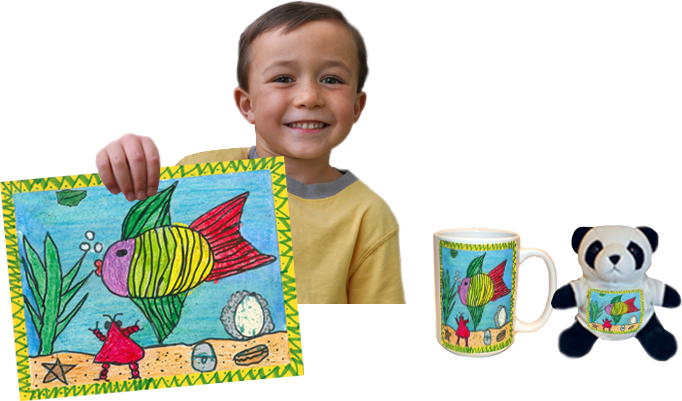 How do I order my child’s artwork on products? Find out here! Family and friends will cherish items adorned with original artwork. Visit the Gallery where you'll find the perfect item to showcase your artist's masterpiece! 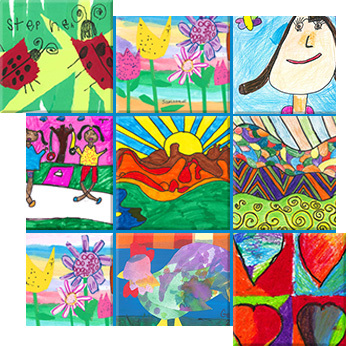 Add beauty to your walls and boost school pride with these permenant ceramic tiles adorned with student’s artwork. This fundraiser can be run alone or in combination with our other programs. "Art by Me has turned my children's artwork into lasting memories for us, grandparents and friends. Whether it's the magnets on my refrigerator or the ornaments I put on my tree, it always brings back wonderful memories!" "My students and parents LOVE the Art by Me program. The kids are super excited to do it every year. The Art by Me team is really wonderful to work with!" "It has been a successful program for many years! Our tile wall is still being talked about and encourages other teachers to create one"
"It has been a pleasure to work with the Art by Me team on such a fantastic fundraiser. The students really enjoy creating their masterpieces. 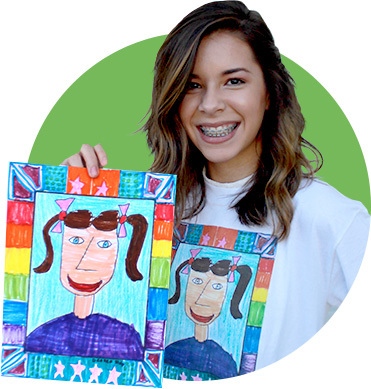 They are so proud to see their artwork on the products offered"
Art By Me, Inc. offers unique art programs that transform a student's artwork into beautiful, professionally made products! Creating art is fun for students. Art By Me generates additional enthusiasm and excitement among students as they see customized products made from their own artwork. Students develop positive attitudes and their self-esteem is boosted at seeing parents and family members buying t-shirts, calendars, note cards, etc. that display their masterpieces. Parents and families appreciate the affordability, variety and quality of our products. 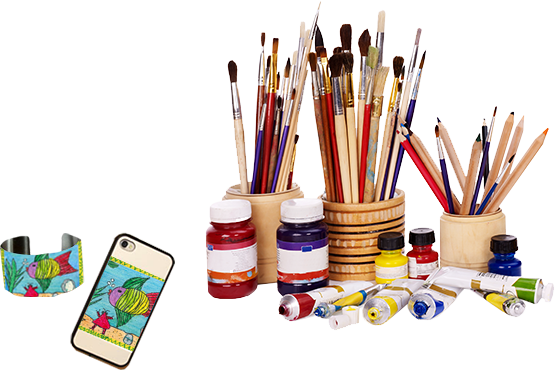 The Art By Me program enables schools to offer the program in a no-hassle profitable way. At the same time, our program spotlights your school's visual art department by centering around products that the school's own students have created! It’s easy and rewarding for the school, students and family/friends.